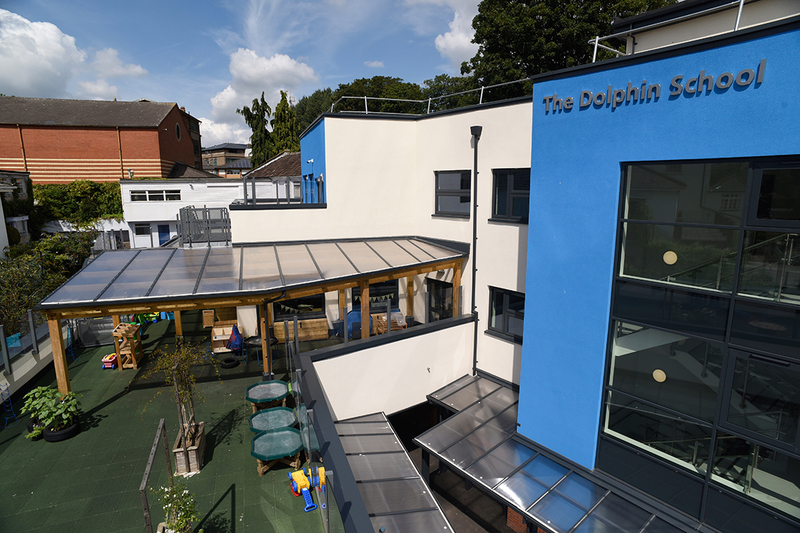 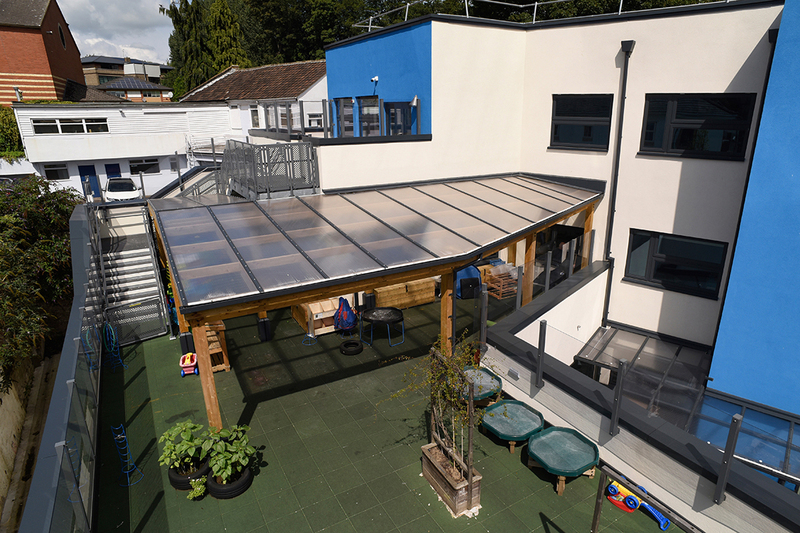 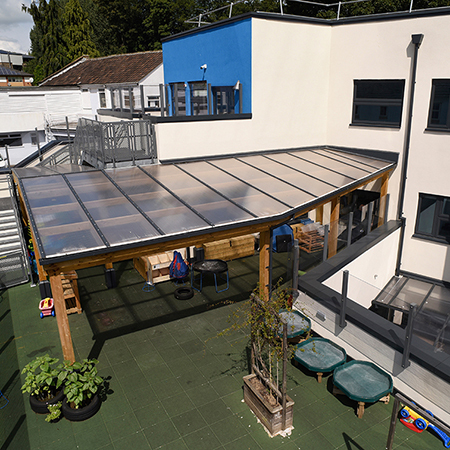 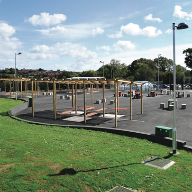 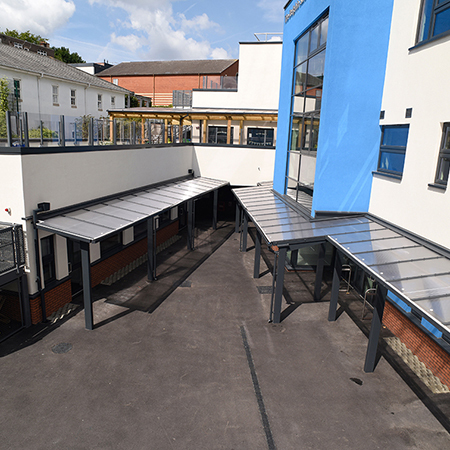 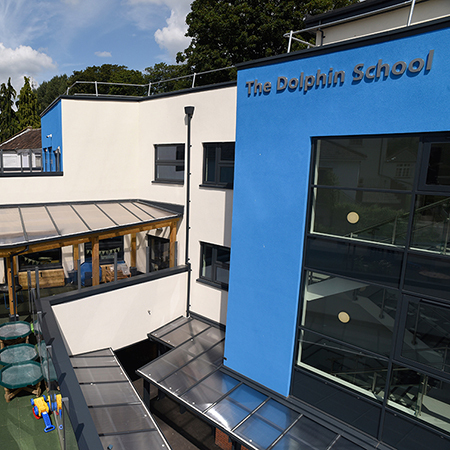 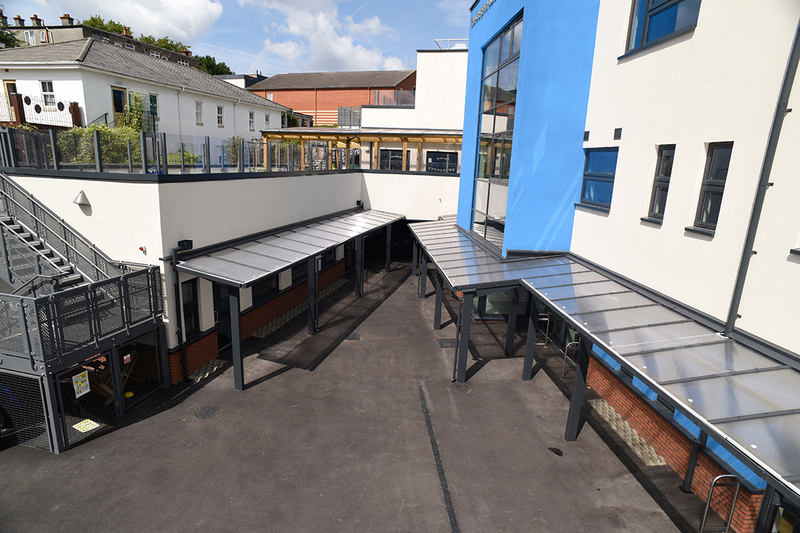 Broxap were asked by BAM Construction Ltd to design a series of canopies to be installed within a confined area at Dolphin School in Bristol. 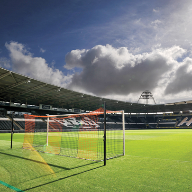 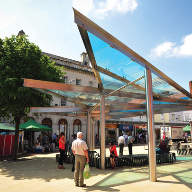 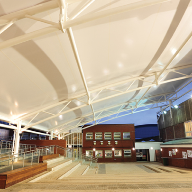 The canopies needed to make the most of the limited space whilst offering maximum space and a light and airy feel. 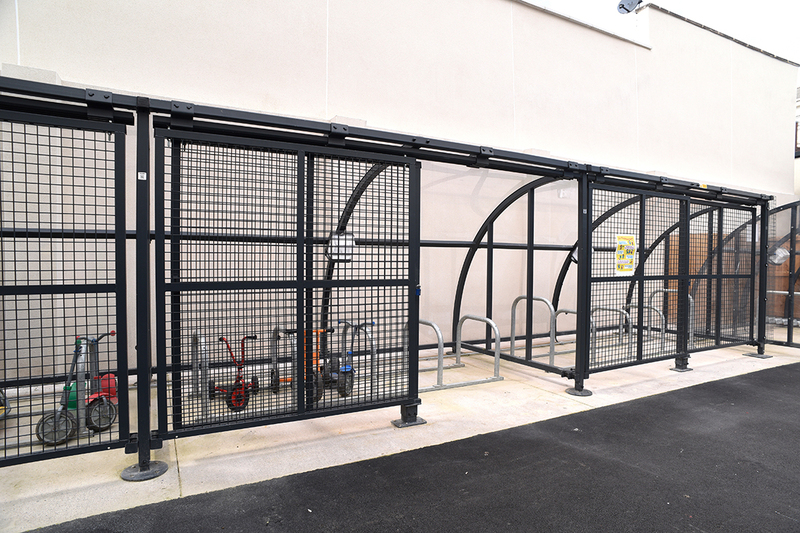 BAM Construction Ltd. chose Broxap as they were able to offer a single point as well as provide other elements to the new build such as door barriers and cycle parking elements. 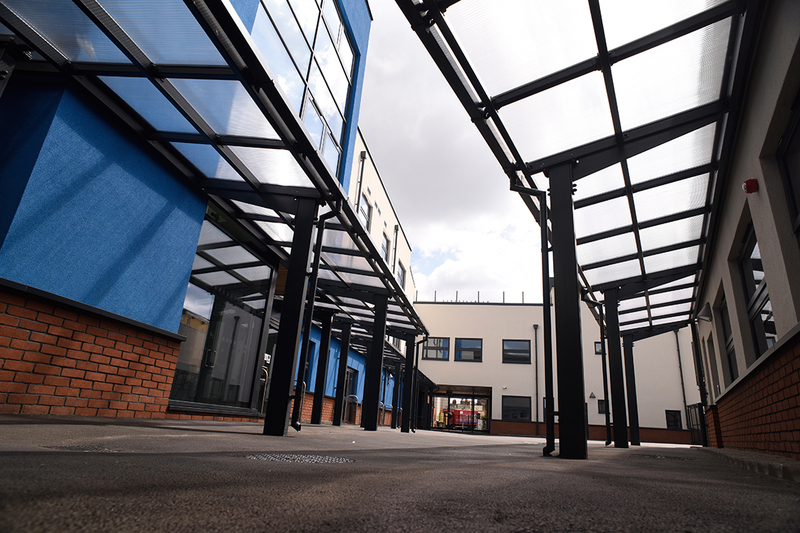 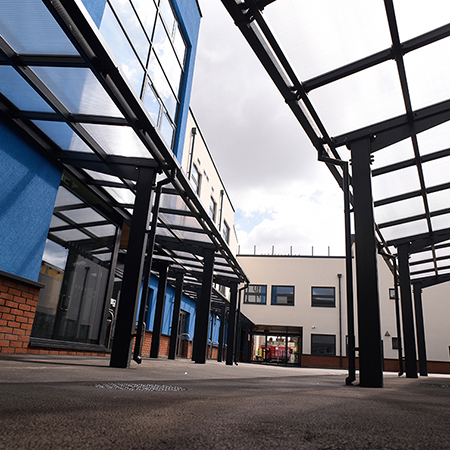 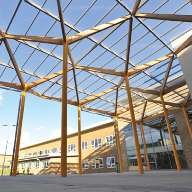 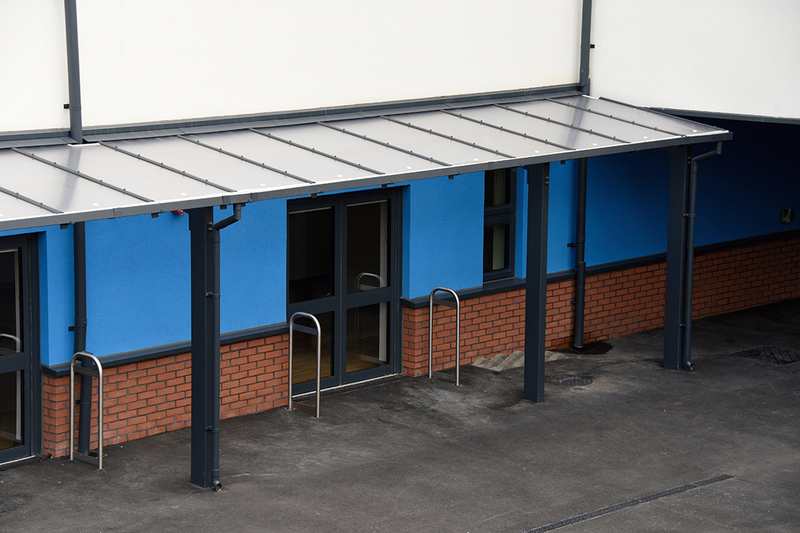 Working closely with Architect and Contractor Broxap designed a series of monopitch canopies based around their Hartcliffe cantilever style canopy that would run throughout the school grounds. 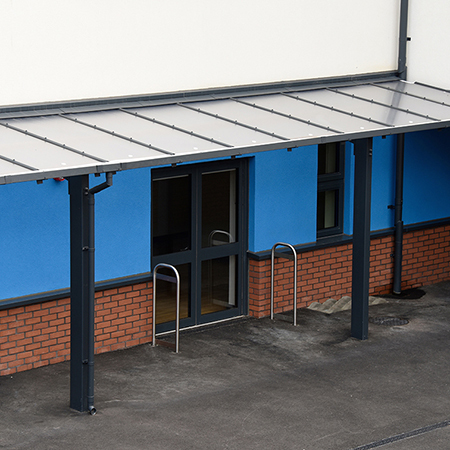 To complement these canopies for the lower school Broxap used a timber Monopitch canopy. 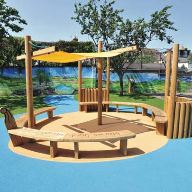 This gave the Early Years area a softer and more natural appeal. 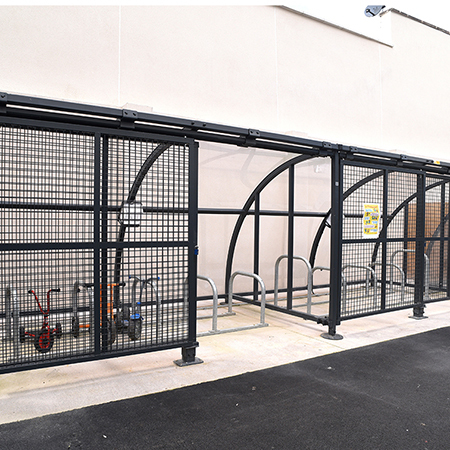 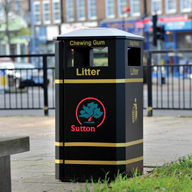 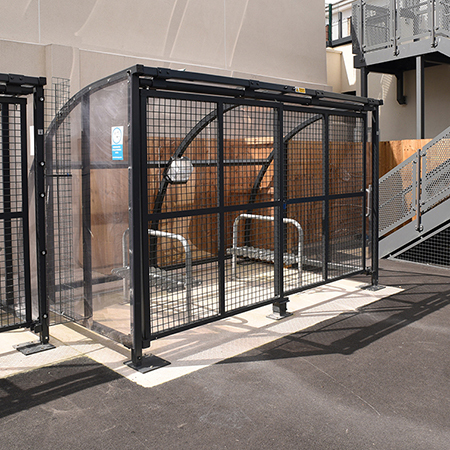 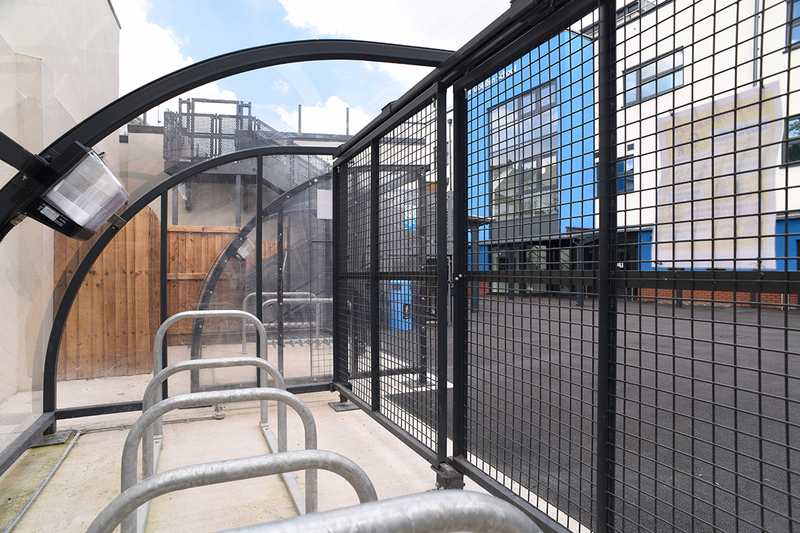 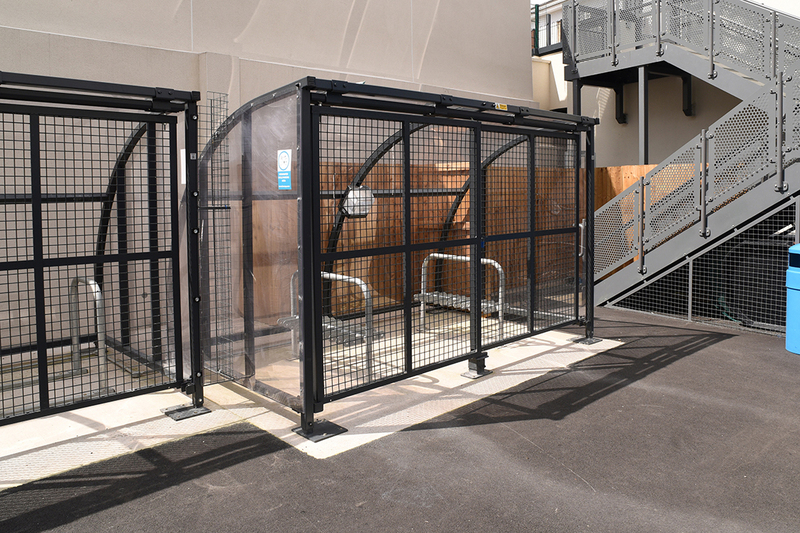 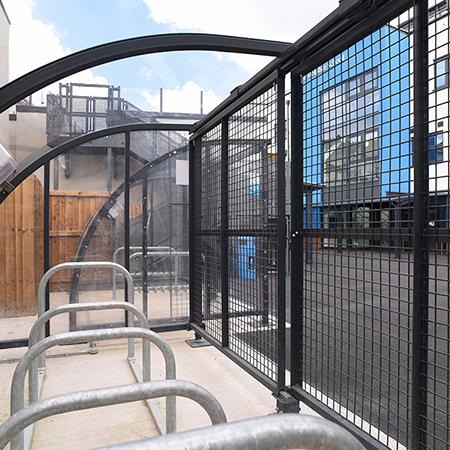 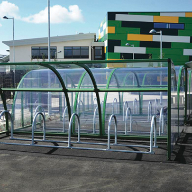 Broxap also provided a series of their Wardale Cycle and Scooter Shelters complete with lockable gates and also a series of stainless steel door barriers to the outside of the buildings entrances.